This slide is super fast and very tall. 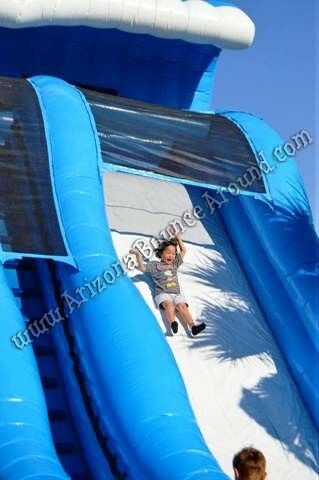 Arizona Bounce Around has all the Big Inflatable Slides for any size event and it's hard to beat this 24' slide. This slide will tower over most homes and people will know you're serious when you have this slide at your party or event. Our 24' Inflatable Slide is on sale this year so that makes it even better and will help you raise more money at your school carnival or fair! 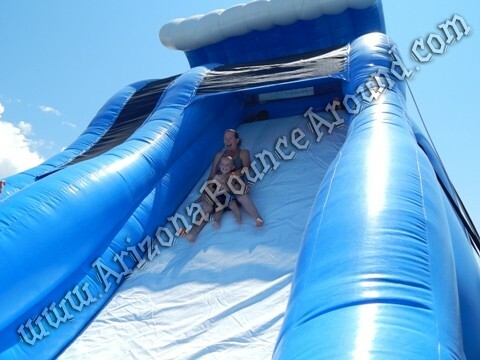 If you're looking to rent a big Inflatable Slide in the Phoenix Scottsdale area look no further than Arizona Bounce Around. 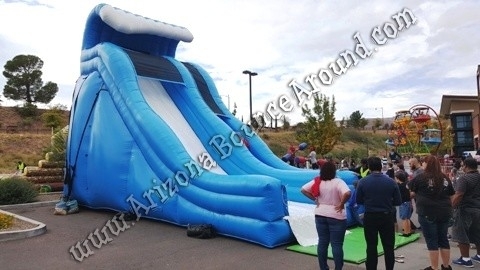 If you're looking for a Huge Inflatable Slide Rental for your next city, church, school or company party Arizona Bounce Around has it for rent and it's on sale again this year. Add our Human Wrecking Ball rental, Sumo Wrestling Rental, Obstacle Course Rental, Gladiator Joust Rental, Gladiator Knight Fight Rental or any of our Inflatable Sports Game Rentals to your next party. 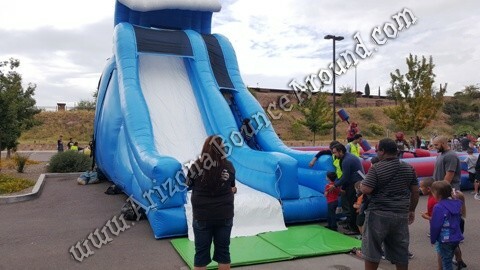 This big inflatable slide rental price includes standard set up. Standard setup is considered an area within 80 feet of sufficient electrical supply. Delivery and removal within included delivery area with no restrictions for delivery, set up or pickup.